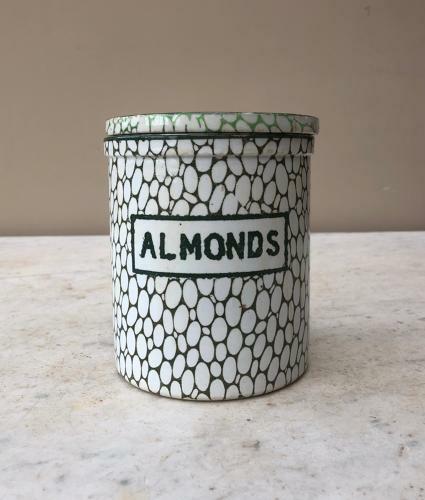 Early 20th Century Maling Green Cobblestone Kitchen Storage Jar for ALMONDS. The jar has its original lid. The jar is in very good order the lid has a weeny chip to the edge.